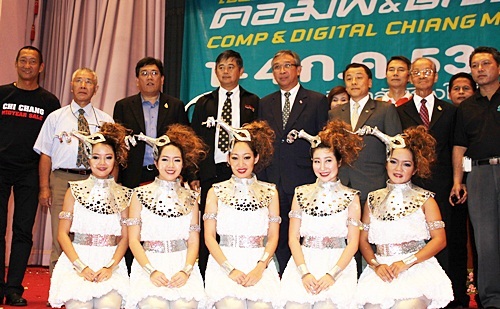 Chiang Mai Governor Amornphan Nimanant, 5th left, presided over the opening ceremony of the “Com and Digital Chiang Mai Fair 2010” organized by Faculty of Engineering at Chiang Mai University Convention Center on July 1. With him, Wattanachai Phuwakul, 6th left, Executive Board Member of Siam Exhibition, 2nd left, Assoc. Prof. Dr. Sermkiart Chormchanyong, and 4th left, the dean of Faculty of Engineering, Chiang Mai University. 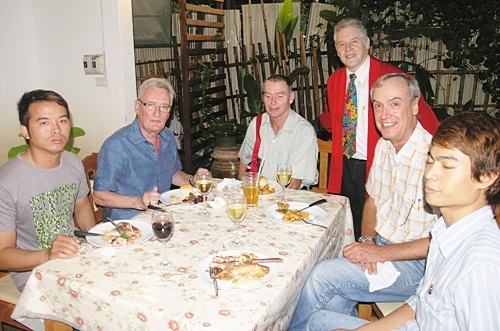 Thailandfreunde (Phuenthai German International) held their dinner recently at Central Kad Suan Kaew. 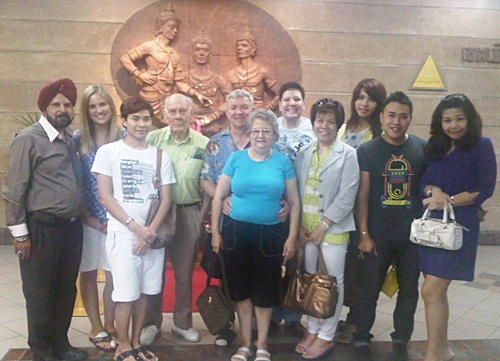 From left: Frank Sethi, Kelsey Reitz, Anirut Hanchumset, Rudolf Langenhorst, Dennis Henry, Janet Henry, Dirk Weeber Arayatumsopon, Phanna Langenhorst,Nara Arayatumsopon, Wuttipong Arayatumsopon and Marisa Chuchan.